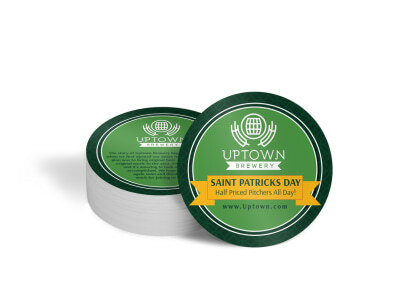 Contribute to the festive seasonal atmosphere all around your bar or restaurant by serving every drink on a customized holiday coaster. 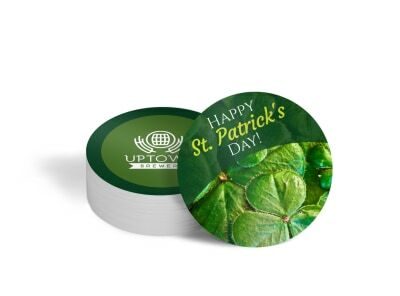 We have a fully-stocked and ever-growing catalog of holiday coaster templates that can be personalized for every occasion. 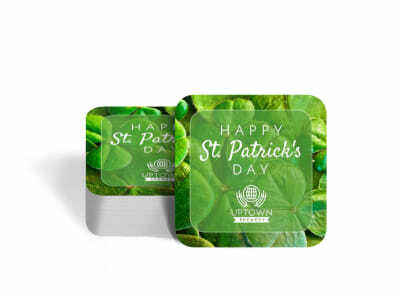 Use our online editor to ensure that each and every green beer is served atop a lucky four-leaf coaster, hot toddies are accompanied by cozy fireplace-inspired tabletop protectors, and every Easter brunch espresso arrives on (in?) its very own bunny-basket-coaster. The options are endless – National Milkshake Day, anyone? – so start today and give your establishment a step up on the competition, year-round!